First thing we need to do is format the micro SD card or removable drive; but, before taking the next steps, make sure you back up anything on it that you would like to keep. 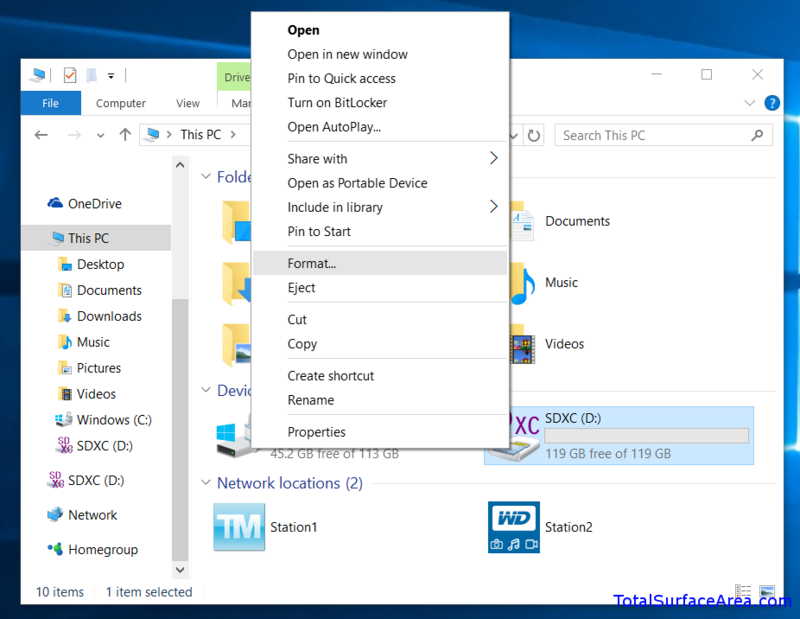 You can do this by just copying the contents from the micro SD card or removable drive to your computer or an external drive. 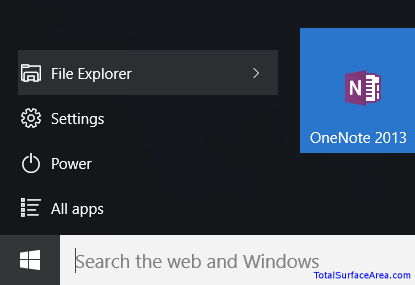 Step 1.1: Open File Explorer by clicking the Start button and select the File Explorer. 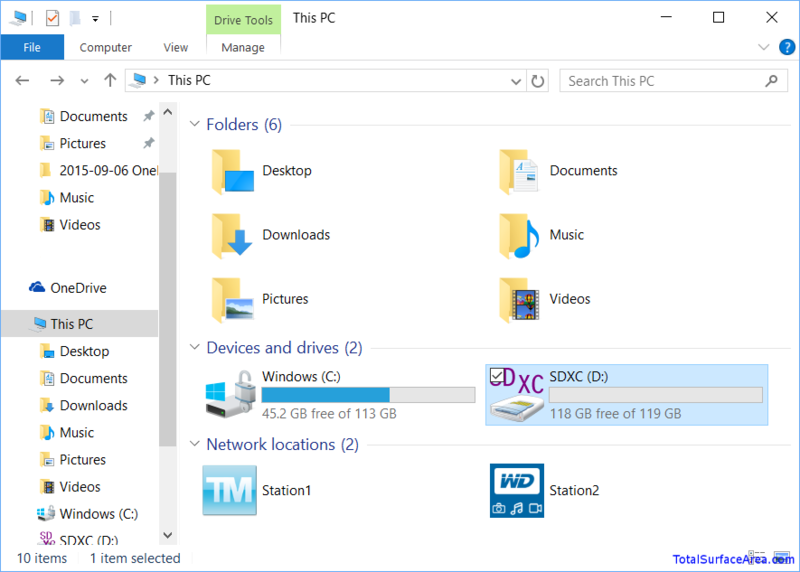 Step 1.2: In the File Explorer window, right click on your micro SD card or removable drive and select Format. 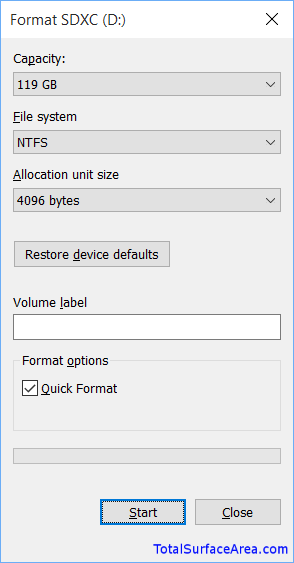 Step 1.3: In the Format window, select NTFS as the File System. You can name the volume whatever you like. Click Start. Step 1.4: A warning dialog box appears. Make sure you are formatting the correct drive and have backed up any important information from this drive. Click OK. Step 1.5: An informational dialog box appears, “Format Complete.” Click OK. 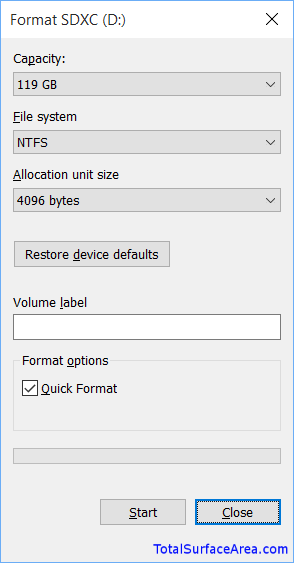 Step 1.6: You are done formatting the drive with an NTFS file system. Click Close. Step 1.7: Confirm the drive is practically empty and not the free space. My removable micro SD card is 128GB, but shows 119GB with 118GB free. Note the amount of free space for the later steps (118GB for me in this case).